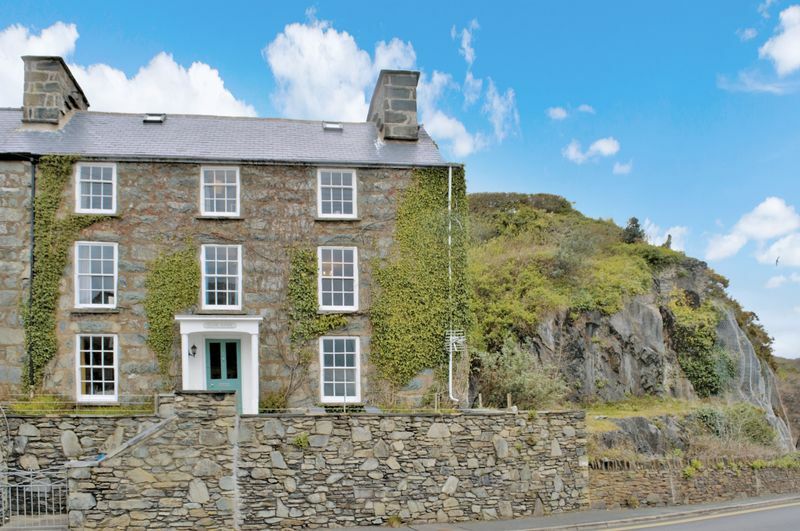 SPECTACULAR POSITION AND VIEWS - An imposing Grade ll listed Georgian double fronted semi detached family residence (constructed circa 1819) commanding wonderful views from 8 of it's rooms across the Mawddach Estuary to the mountains beyond. 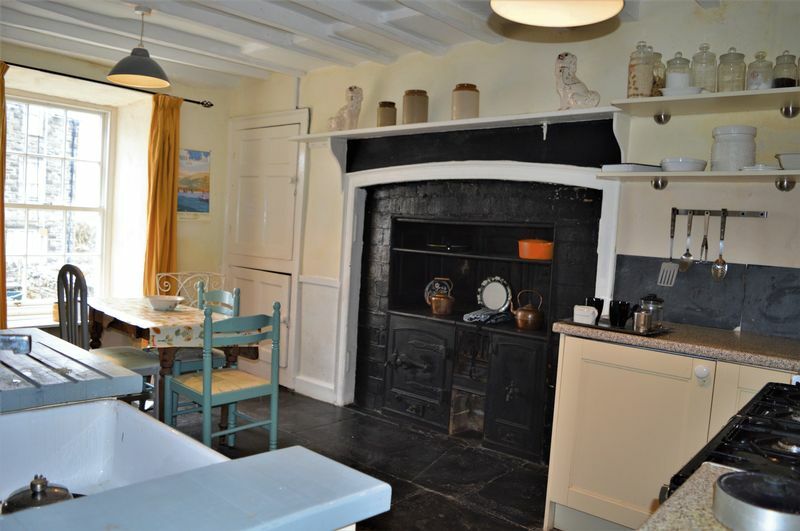 Benefiting from many charming original features and gas fired central heating, the accommodation briefly comprises - Basement - Cellar/utility, Ground floor - Entrance hall, fitted kitchen/breakfast room with the original cooking range, dining room. 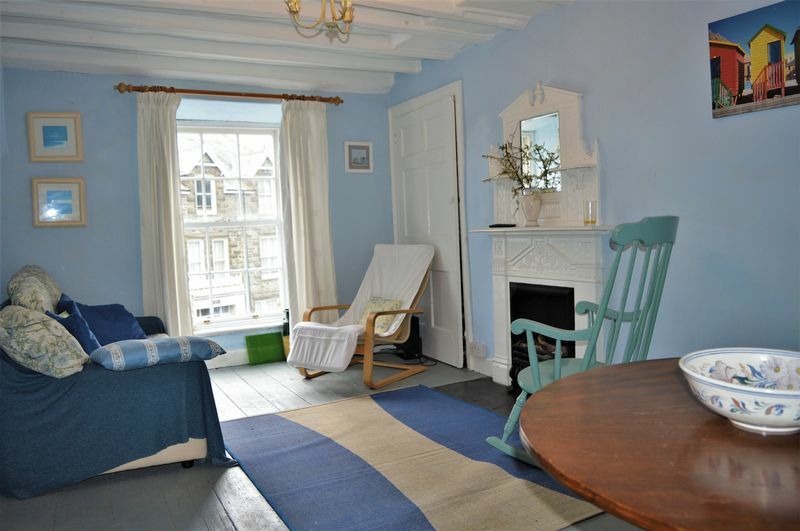 First Floor - Lounge, study, bedroom 3 (presently utilised as a sitting room). 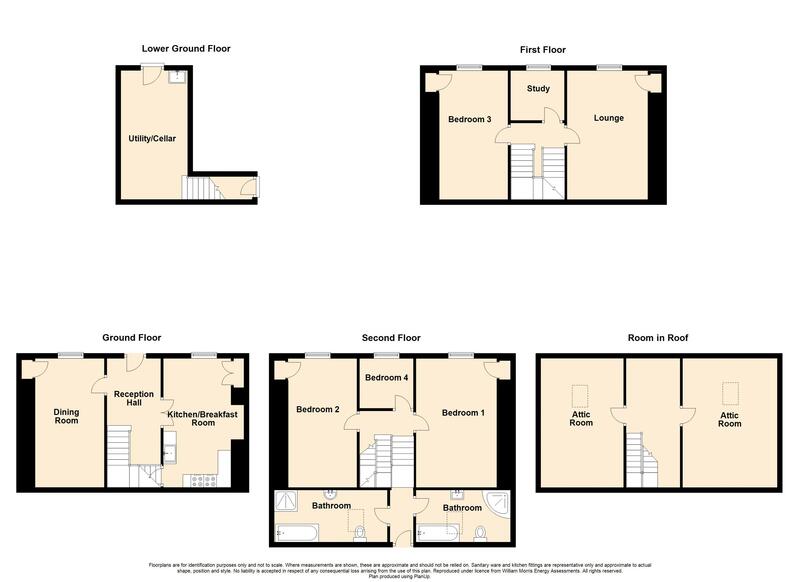 Second Floor - 3 Bedrooms (2 doubles and a single), 2 bathrooms (both with shower cubicles) and an outer door from the rear landing area. 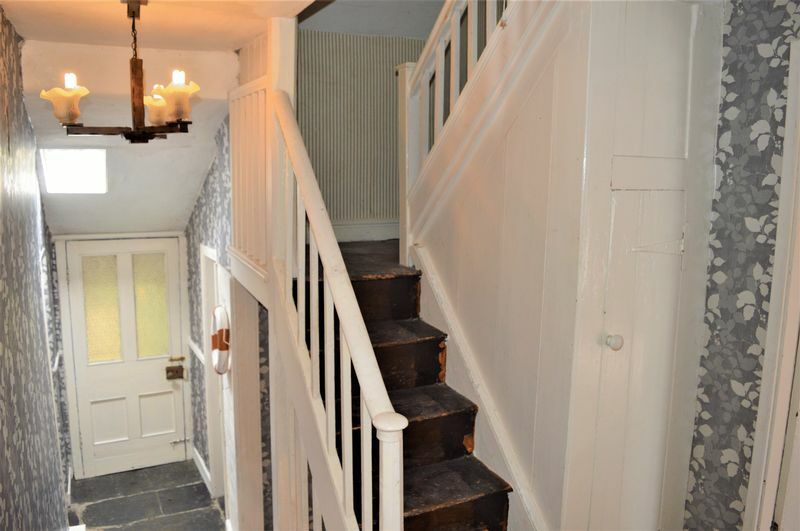 Third floor - 2 attic rooms. 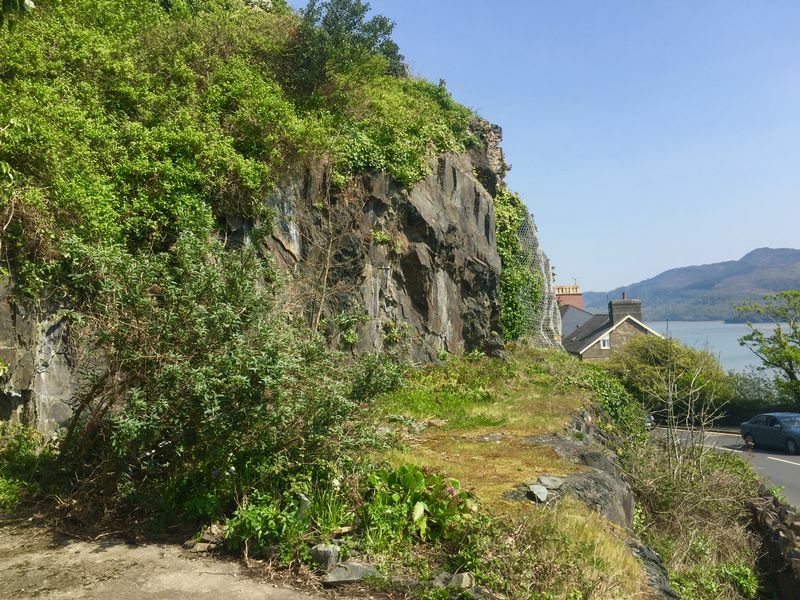 Outside - Paved front patio, further elevated rear patio (stunning outlook) plus an additional side garden area offering tremendous scope to develop as a landscaped area with Mawddach Estuary views. 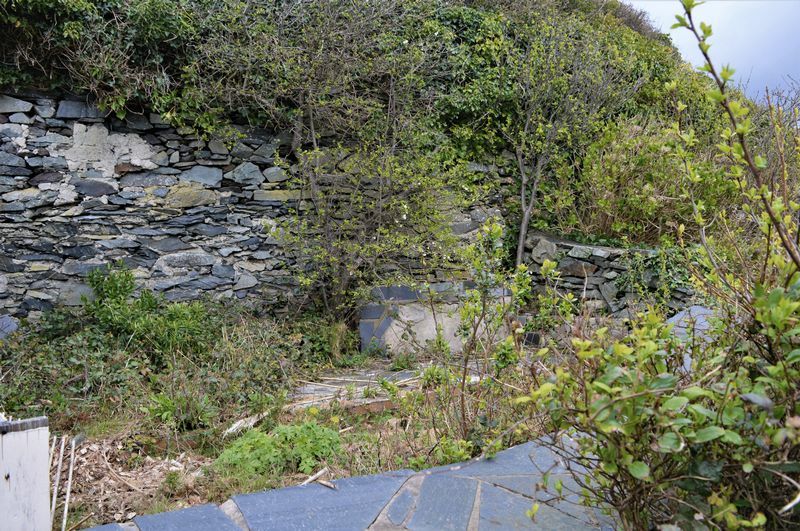 (Please note that the elevated rear patio requires the installation of steps to provide easy access). NO ONWARD CHAIN. 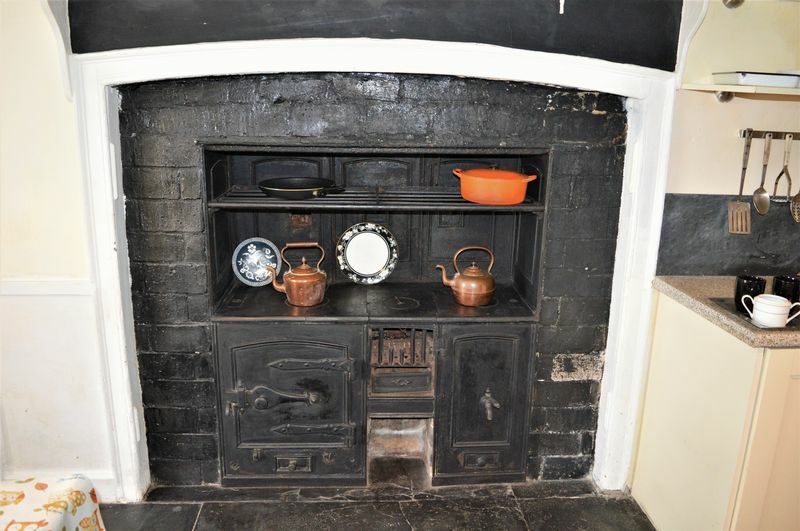 Sash window (front aspect, view to the Mawddach Estuary), exposed timber floor boards, tiled feature fireplace with a timber surround and a tiled hearth, shelved cupboard, radiator. Sash window (front aspect, view to the Mawddach Estuary), slate flag flooring, original blacked out traditional cooking range, fitted kitchen comprising range of marble effect work surfacing, tiled splash back, 'Belfast' sink with a timber drainer to the side, cream coloured base cupboards and drawers, matching wall units, integrated dishwasher, 'Flavel' modern cooking range with an 8 ring gas hob and double oven. 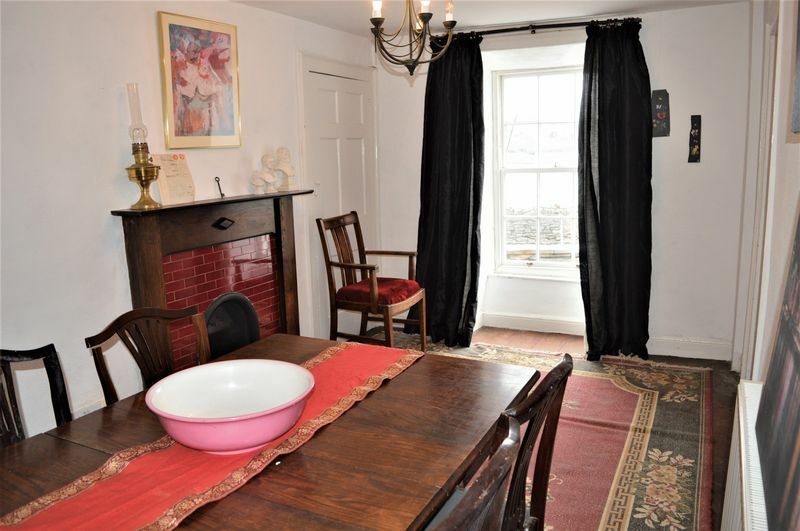 Built-in shelved cupboards,beamed ceiling, radiator, access door to the cellar. 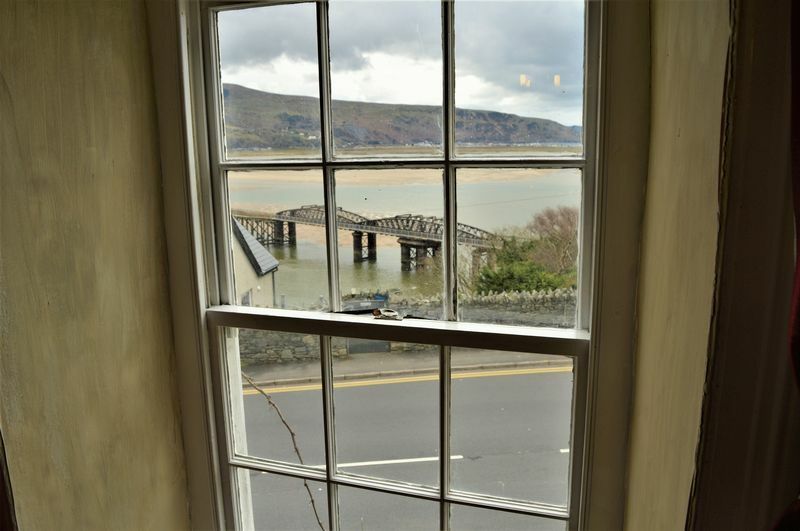 Sash window (front aspect, view to the Mawddach Estuary), exposed timber floor boards, feature fireplace with a slate hearth, built-in shelved cupboard, radiator, telephone point. 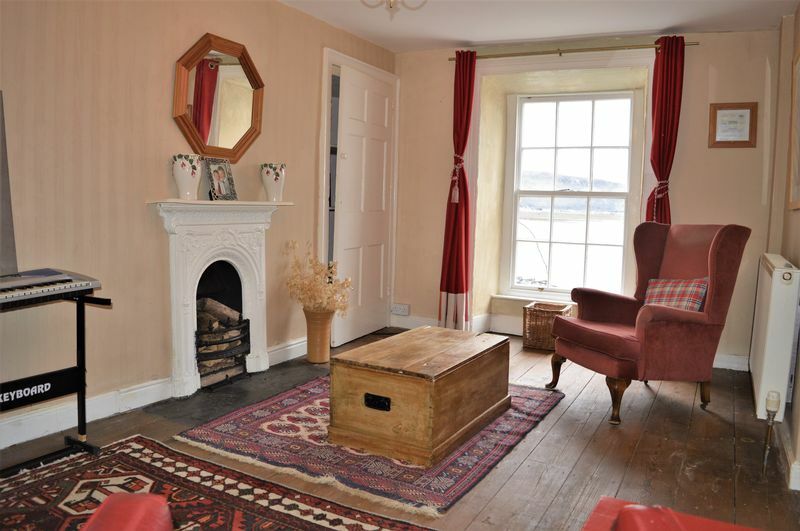 Sash window (front aspect, view to Mawddach Estuary and Quay), feature fireplace with an ornate mirrored mantel piece over, slate hearth, painted timber floor boards, beamed ceiling, built-in wardrobe with storage over, radiator. 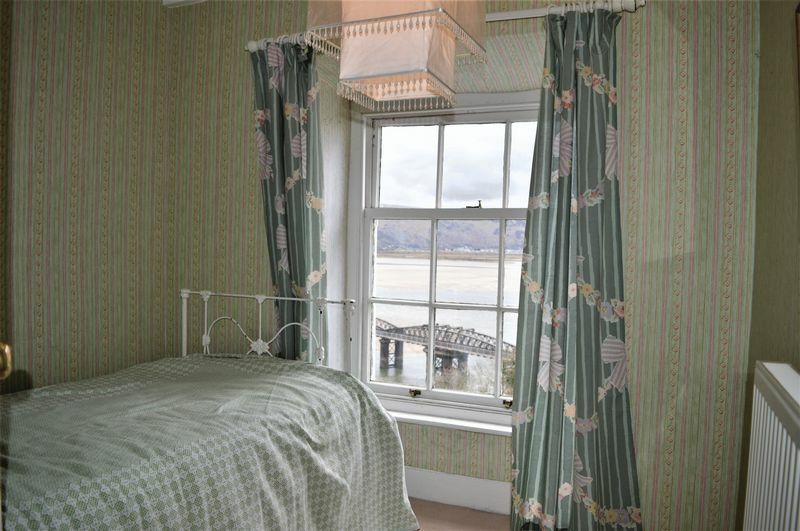 Sash window (front aspect, view to the Mawddach Estuary), beamed ceiling, radiator. 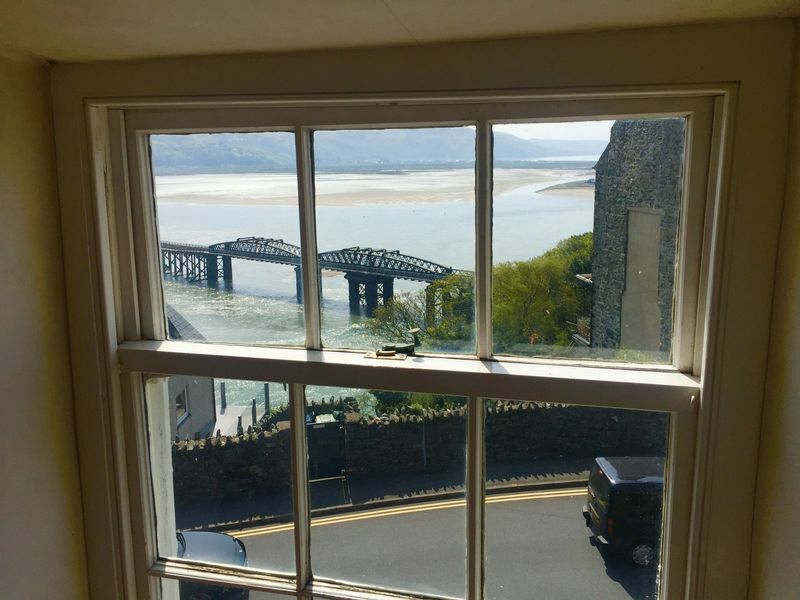 Sash window (front aspect, view to the Mawddach Estuary), feature cast iron fireplace, slate hearth, beamed ceiling, built-in wardrobe, radiator. 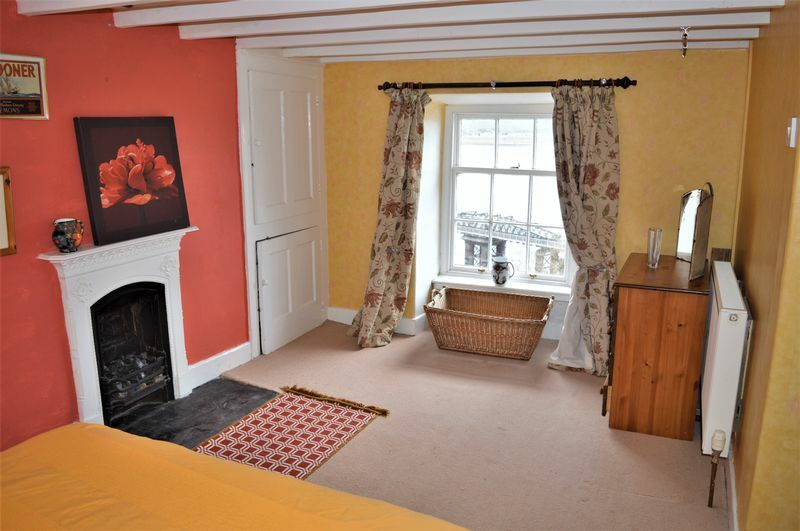 Sash window (front aspect, view to the Mawddach Estuary), feature fireplace with a slate hearth, beamed ceiling, 2 over bed reading lights, built-in cupboard, radiator. 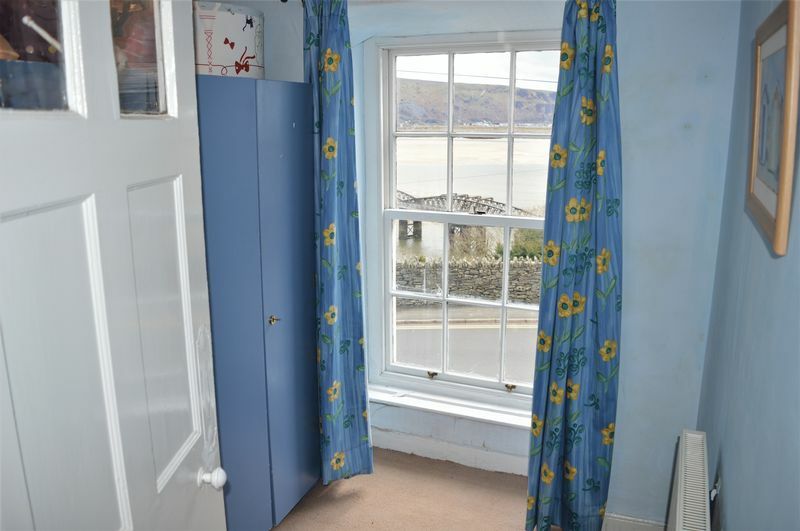 Sash window (front aspect, view to the Mawddach Estuary), beamed ceiling, radiator. 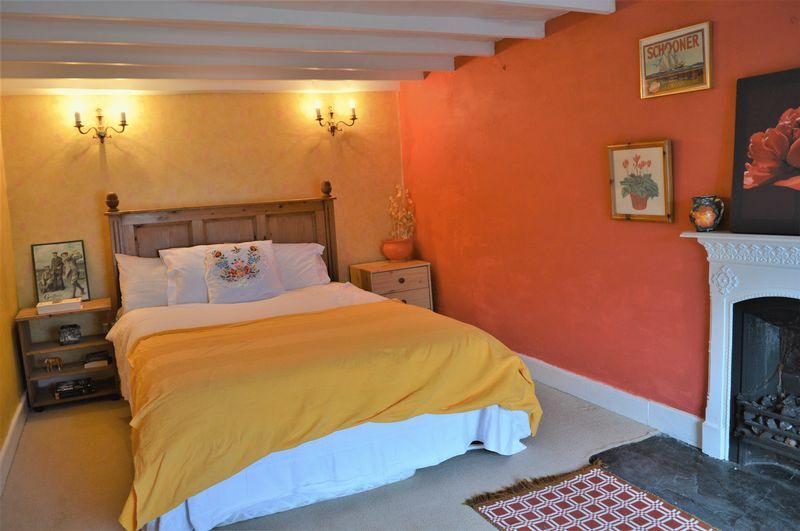 A single room ideal as a childs bedroom or nursery. Rear outer door to rear walk way. 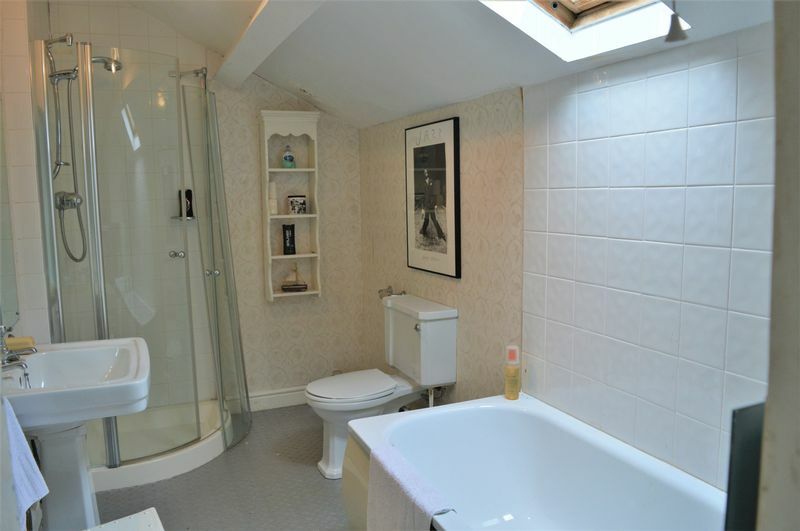 Skylight window, timber effect flooring, white bathroom suite comprising: panelled bath with a tiled splash back, separate shower with a plumbed-in shower and a glazed door, pedestal wash hand basin with a tiled splash back and mirror over, low flush WC, towel rail, radiator, ceiling spot lights. 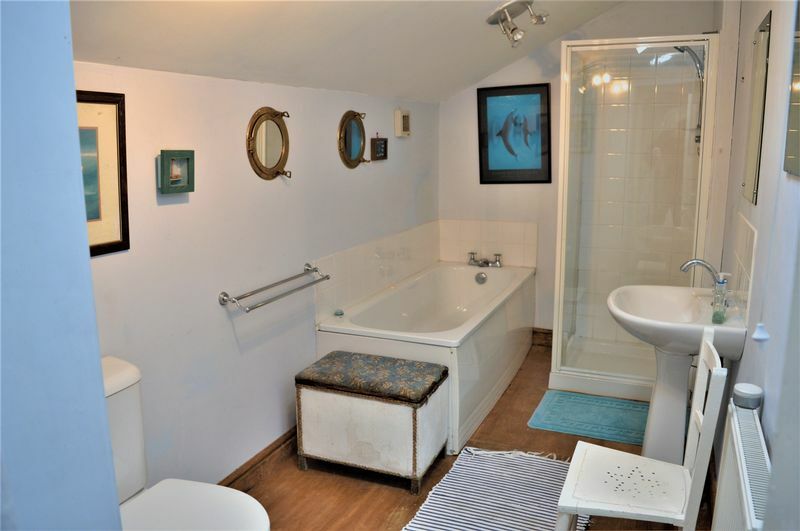 'Velux' frosted glass window, white bathroom suite comprising: panelled bath with a tiled splash back and traditional taps, pedestal wash hand basin with mirror over, low flush WC, separate corner shower cubical with a plumbed-in shower and glazed double doors, two further wall mirrors, ceiling spot lights, radiator. 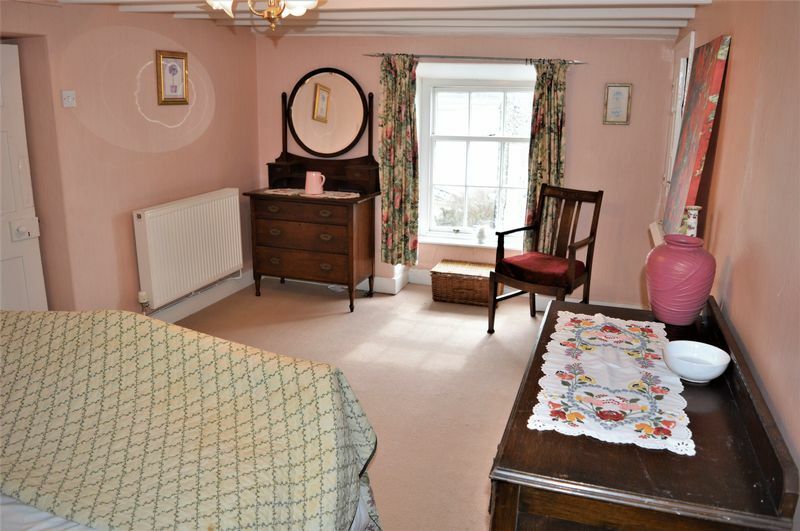 'Velux' window, exposed purlins, painted floor boards. 'Velux' window, exposed purlins and exposed timber floor boards. 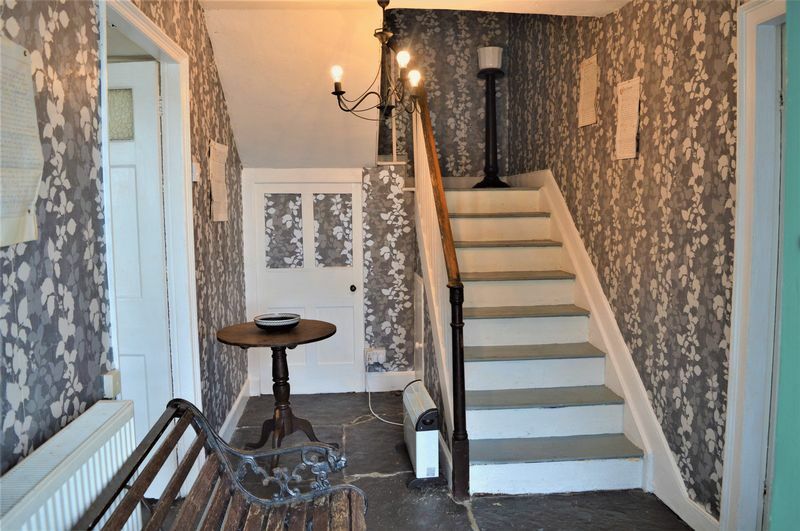 Rear walkway (accessed via the outer door on the 2nd floor lower landing) - There is an elevated patio garden above this walkway although easy access is not presently possible as access steps are not in place. 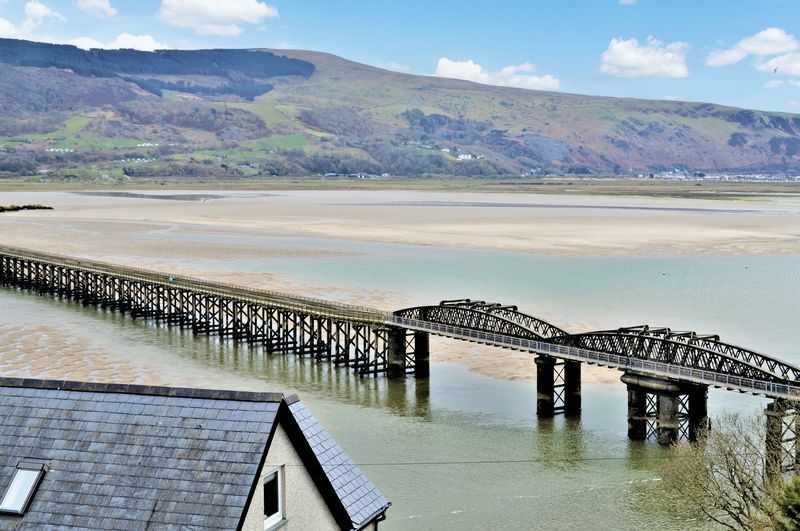 Paved forecourt area with flower borders, lovely southerly views to the Mawddach Estuary, Barmouth Bridge and the mountains. 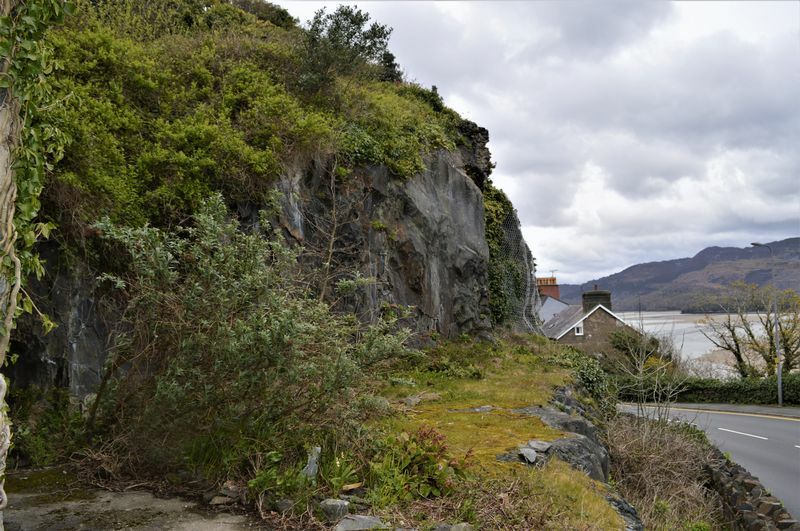 A flat area with rocky outcrop offering tremendous potential given its southerly outlook over the Mawddach Estuary to create a landscaped area that would take full advantage of the view - there is also scope to create timber stairs from this area to access the elevated patio area located above and to the rear of the property. 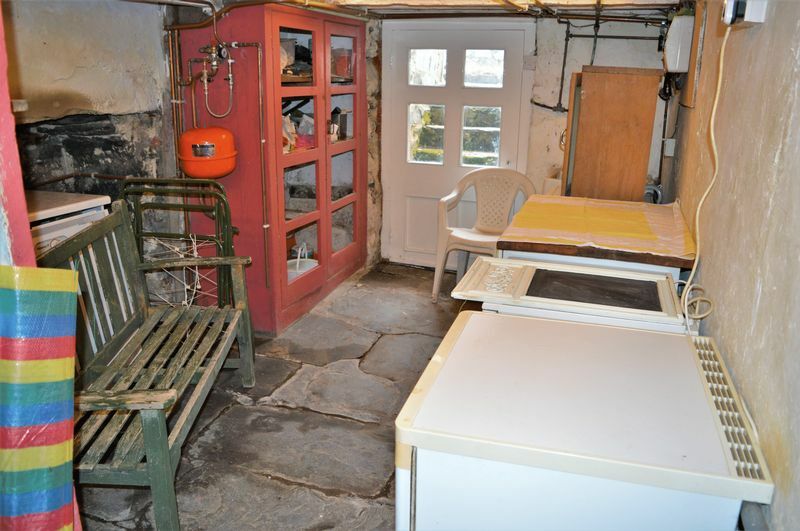 Mains Gas, Electricity, Water & Drainage. 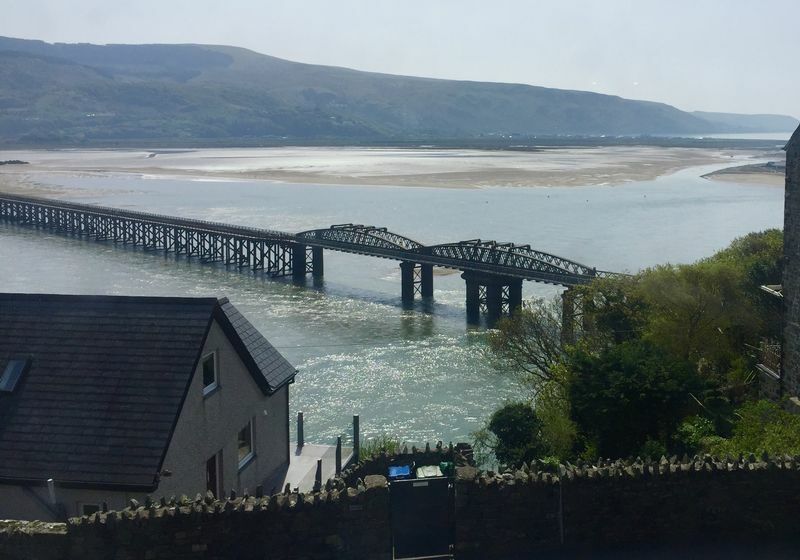 On the west coast of North Wales, Barmouth lies between a mountain range and the sea on the Mawddach Estuary and is arguably one of the most beautiful locations in Wales. 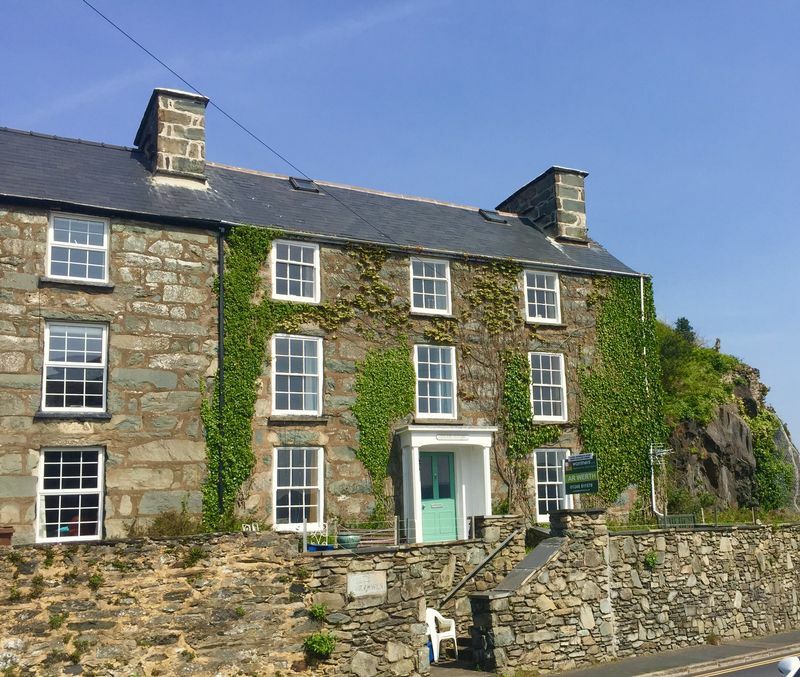 The town rests just within the south west corner of the Snowdonia National Park and is steeped in a history rich with connections to the shipping and slate industries. The old town offers a good selection of restaurants, shops, public houses, hotels and other accommodation. 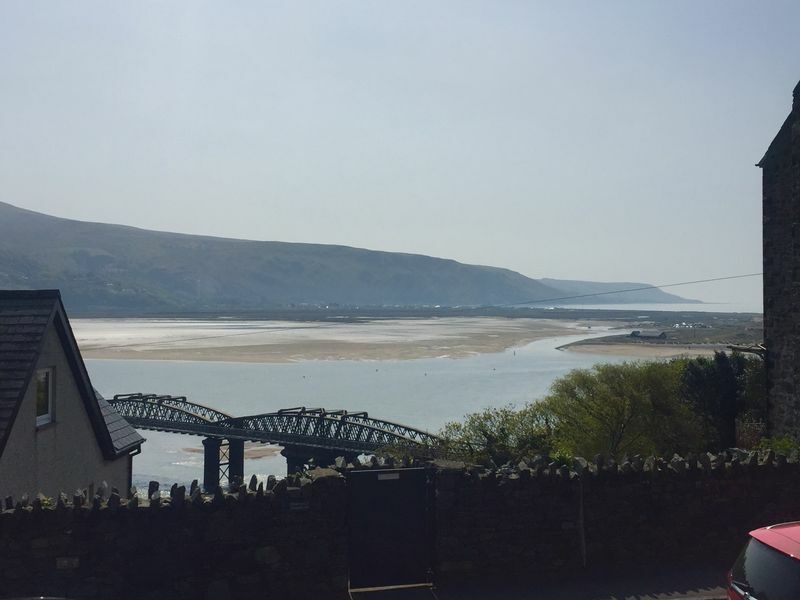 The harbour is beautiful with its spectacular bridge spanning the river and the large golden sandy beach is renowned as one of the finest in Cardigan Bay. 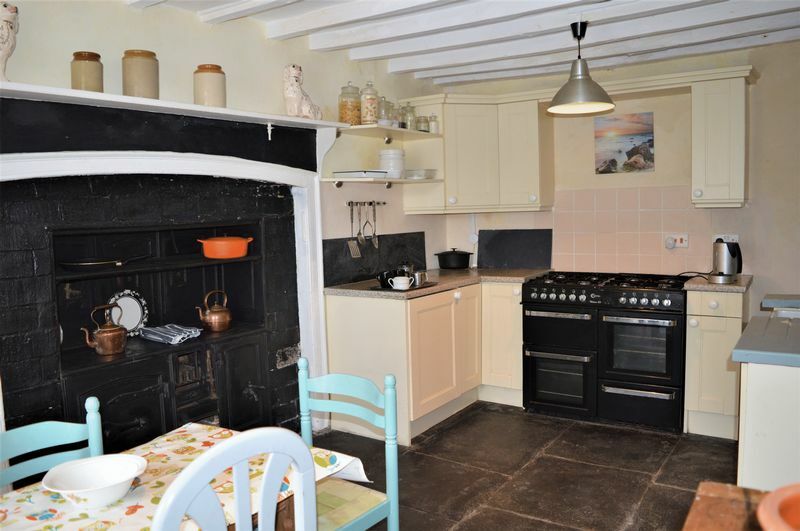 Glanafon is located within easy walking distance of the Quay, the town centre and the beach.